The bulk of the work for the year is expected to wrap up in a couple of weeks, and final paving on Water Street south of the library will be completed next year. 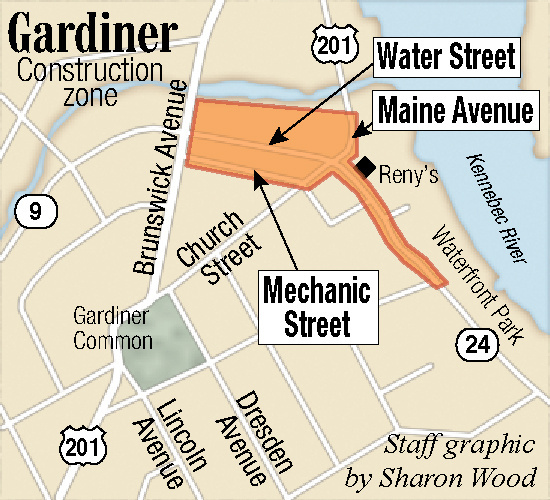 GARDINER — Shawn Menard has a bird’s eye view of the Water Street project in downtown Gardiner. On Tuesday, workers were pulling apart the crosswalk in front of the Gardiner Co-Op, where Menard is the general manager. 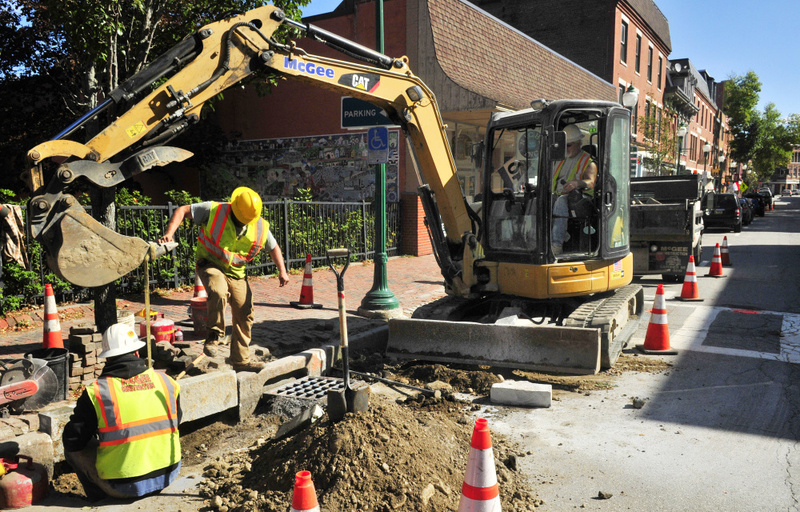 That’s just one aspect of a multi-week project that includes replacing a section of water main under Water Street, rebuilding some sidewalk on Water Street south of the Gardiner Public Library and milling and filling Maine Avenue and Water and Mechanic streets. The project has imposed lane restrictions and detours and interrupted access to downtown businesses. In a way, it’s a preview of a more complex construction project coming in 2019, when the Maine Department of Transportation plans to replace two bridges crossing the Cobbosseecontee Stream on the fringes of downtown and make improvements at two downtown intersections. “If I were to take just this project as an example of any kind of major work in the area and project it out, I am a lot more encouraged than I was before,” Menard said Tuesday. This project, which started after Labor Day after a slight delay, was expected to cost about $1 million, paid by the city of Gardiner, the Maine Department of Transportation and the Gardiner Water District. LaPlante said both the city and state portions are expected to come in under budget at about $300,000 apiece. As the water main replacement is completed later this week, homes and businesses will be hooked up again to water service. On Thursday and Friday, that means Water Street at the Church Street end will be closed to traffic, but pedestrians still will have access. Vehicles will be rerouted up Library Street, between the library and Camden National Bank, to allow as much access as possible into businesses. 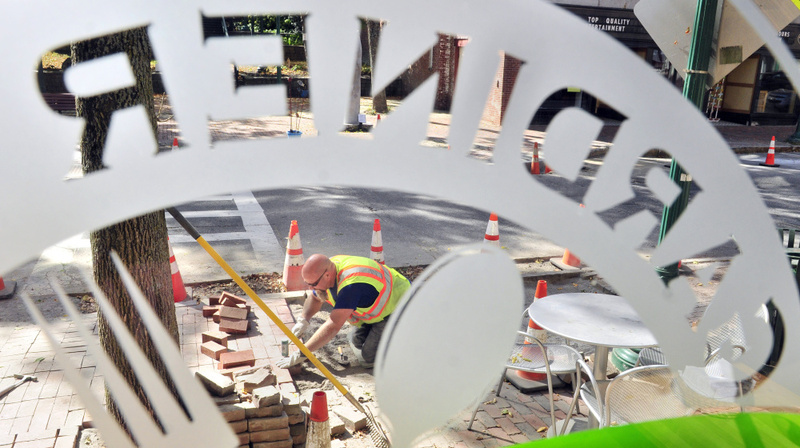 Next week, the milling and filling portion — during which the top inch and a half of paving is ground off and replaced with a like amount of fresh paving — is expected to start on the three downtown streets. Tony LaPlante, Gardiner’s public works director, said that work is expected to take about three days; and to minimize its effect on traffic and street closures, the daily start time is expected to be at 3 a.m.
“We’re trying to avoid normal traffic flow impacts,” LaPlante said. 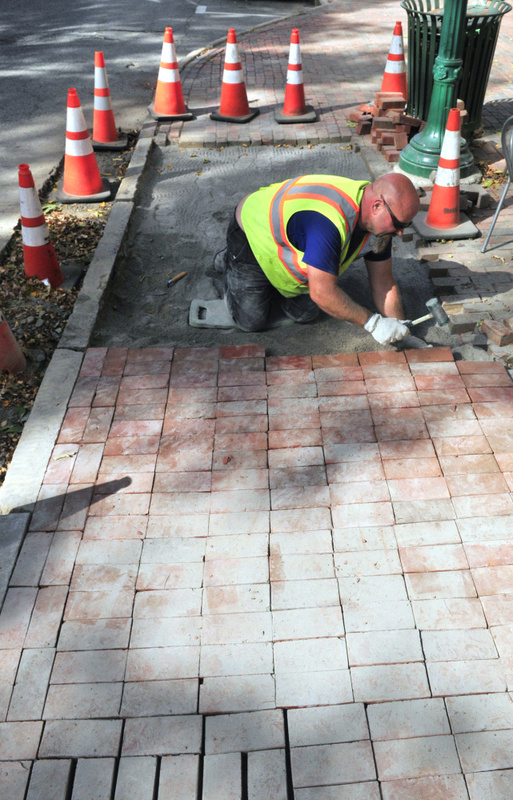 Once that and the water main replacement are completed, a base coat of paving will go down on Water Street from Gardiner Public Library south to the end of the project. Final paving of that stretch is expected to be completed next year. Anne Davis, Gardiner’s interim city manager, said that as with any project that requires underground work, this one came with a couple of surprises, including the unexpected presence of cobblestones under the current roadbed that were left in place the last time the road was improved. LaPlante said the cobblestones will remain in place and they will be paved over. This weekend’s Swine and Stein festival, which will close down a section of Water Street downtown for a day of music, beer and food, is expected to go on as scheduled, Gardiner Main Street Executive Director Patrick Wright said. Wright said any sort of business interruption is a challenge. “We want to encourage people to shop local,” he said, noting that some businesses have felt more of an effect from access restrictions than others. Even so, shoppers seem to be willing to work around the construction. “The construction has really only been in front of us for about a week,” Menard said. Workers from Gardiner Public Works and McGee Construction have been able to preserve access for those coming downtown to shop. Looking ahead, he said the bridge replacement project will be a bigger disruption to a larger area of Gardiner, but he expects that transportation department officials will be working with city officials on detours and that project information will be communicated well.